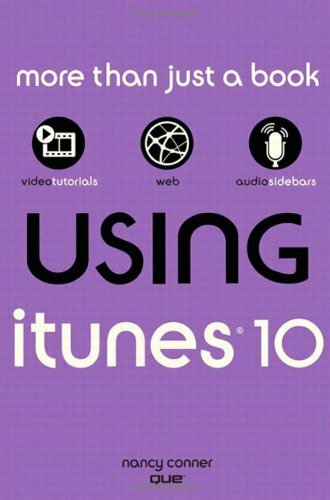 Get comfortable with iTunes 10, Apple’s popular music-and-media organizer and player. Don’t just read about it: See it and hear it with step-by-step video tutorials and valuable audio sidebars delivered through the Free Web Edition that comes with every USING book. For the price of the book, you get online access anywhere with a web connection--no books to carry, updated content, and the benefit of video and audio learning. Way more than just a book, this is all the help you’ll ever need...where you want, when you want! If you have any questions about this product by Que Publishing, contact us by completing and submitting the form below. If you are looking for a specif part number, please include it with your message.